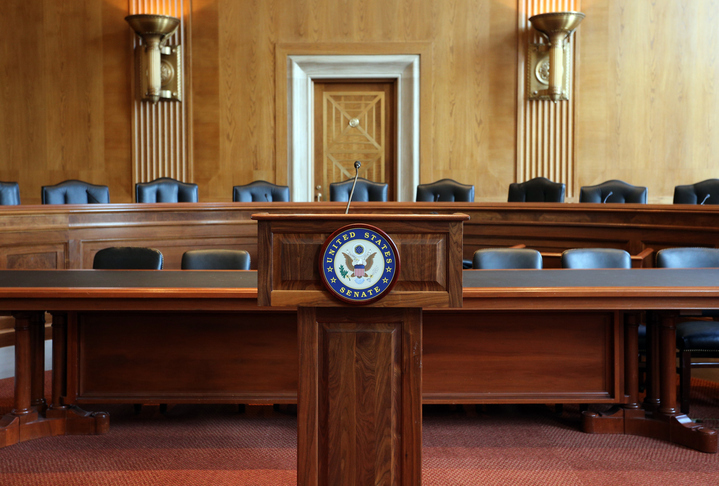 After holding two unprecedented hearings over the objections of the Democrats during the most recent Senate recess, the Senate Judiciary Committee will hold a hearing on Tuesday, November 13. The Senate Judiciary Committee will hear from five nominees: Paul Matey (3d Cir, N.J.), J.P. Boulee (N.D. Ga), James D. Cain (W.D. La. ), Damon Leichty (N.D. Ind. ), and J. Nicholas Ranjan (W.D. Pa.). The Committee will also hold what we're referring to as a "Monster Markup" -- an Executive Business Meeting on November 15, where they will consider 15 judicial nominees who are waiting to be reported out of Committee. The current Senate Judiciary Chairman, Senator Chuck Grassley, has repeatedly ignored home-state Senator consent and held hearings for nominees who are lacking at least one blue slip. This is just one of the five ways Senate leadership and the White House are bending the norms and violating the usual processes for vetting candidates. To learn more about the norms being broken in the partisan attempt to capture the courts, click here.